Pervasive mobility, this month's issue theme, is an interesting topic. 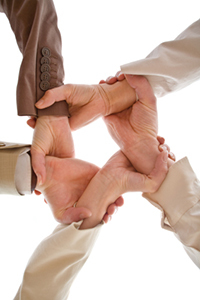 It's a topic that is fueled by compelling technology and new innovations. For example, 5G is taking root and new use cases are coming to fruition. The added complexity this creates needs to be addressed, due to the unique characteristics of 5G on a both a scientific and operational level. Software-defined networks are not only needed but are also quickly becoming a necessity, and cloud has become an integral component. At the same time, the supporting networks, systems, and infrastructure have to evolve to support all of it, and to capitalize on the new opportunities that are being created now. All cool stuff, and makes for an interesting read. But at the end of the day, it's really about connecting people. It's important to remember why we are doing all of this, after all—and that's the human factor. We do the technical parts because we have to and the operational components because we need to but, to be successful, we must want to. It is about remembering that, with pervasive mobility, the use cases it creates and the things it enables, we are connecting people with people with their families, loved ones, peers, colleagues, schools, governments and institutions. We are improving the way we communicate as a global society and enhancing our collective quality of life. This is creating a cultural and social transformation on a global level. If that is our motivation, and it should be, then the rest—increased revenue profitability, market valuation, and improved customer experience—must and will follow. 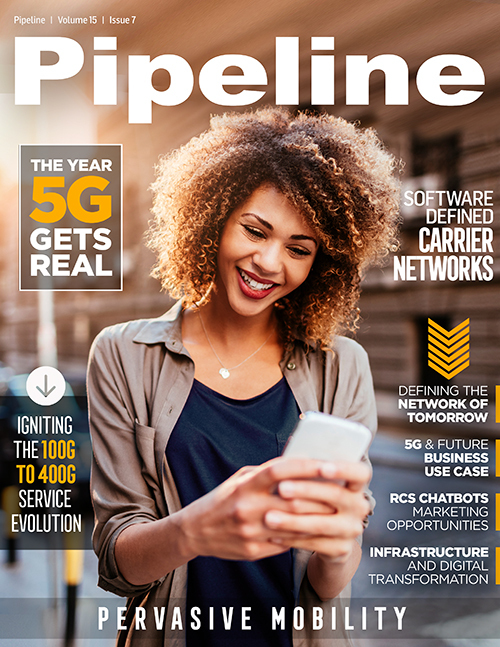 In this issue of Pipeline, we explore several facets of pervasive mobility to help you assess the underlying technology and trends. We look at the reality and key technical considerations for 5G, and current 5G use cases and opportunities. We discuss the evolving infrastructure, from tower management, growing to 400G, to defining the network of tomorrow. We evaluate the role of software-defined networks in carrier environments, cloud, chatbot opportunities, the latest telecom industry news, and more.